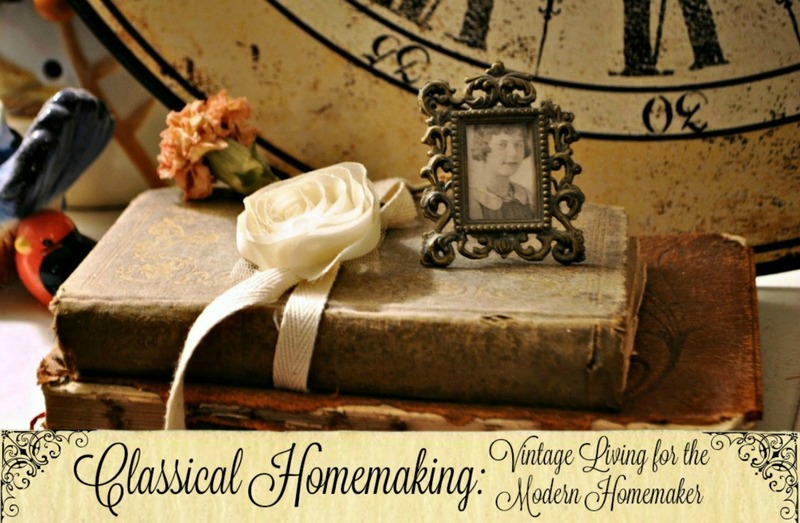 Classical Homemaking: Femininity vs. Modesty...What's the Difference? "What standards do we, as Christian women, use to decide what is modest when it comes to dressing? Islam and Judaism both have very specific laws, but Christianity, as a spiritual system of relational obedience in freedom, has no such standard." I think this question can be answered by thinking, as this woman pointed out, about one of the biggest differences between Christianity and other religions. In Christianity, we live by relationship rather than law. We obey God's laws, not out of fear or tradition, but because we have relationship with him and love him. Because we have this relationship, we are able to go to him with our questions about modesty and ask him what this looks like for our own lives. The Bible gives us very little to go on as far as what to wear. It is clear that we are to be modest (1 Tim. 2:9), we are to dress "like women" (Deut. 22:5), and that we are not to be obsessed or proud (as in not humble) about our appearance (1 Peter 5:5-6). I think it's clear in the heart of any woman who desires to dress modestly that she should be "covered up" in the essential places with clothes that are not tight-fitting. 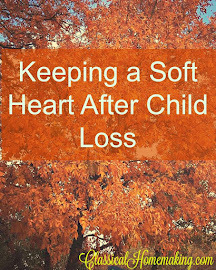 After that, I think a lot of it is dependent on what God knows we need to do to make our own hearts right and, in some cases, what the people around us need to keep theirs right. For instance, I don't think a woman in slacks and a button down top is dressing immodestly. I don't think it's the most feminine outfit---but it's modest as far as "avoiding lust of the eyes" goes. 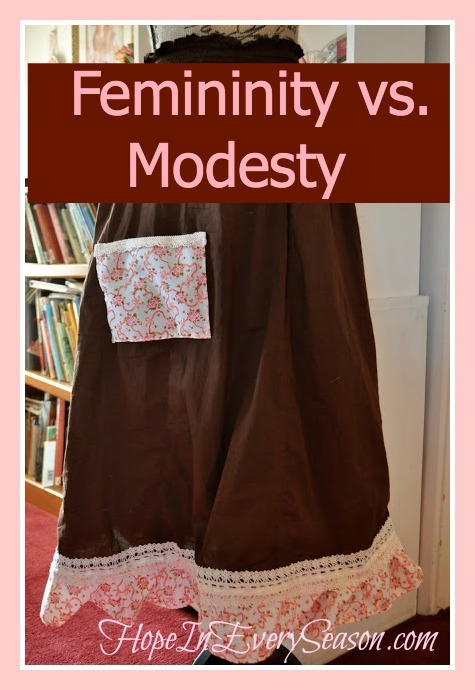 I think that many Christian women, when discussing modesty, confuse it with the issue of femininity. This is where a lot of the bickering and belaboring of details comes in that those of us who discuss this face. No Godly woman wants her femininity questioned---but that's exactly what ends up happening when we confuse the two terms. Modesty: "Reserve or propriety in speech, dress, or behavior." Femininity: "A characteristic or trait traditionally held to be female." I don't think that any true, Bible-believing woman would question the need for modesty. This is of pretty obvious importance in Scripture, as well as in the conscience of anyone who has Jesus dwelling in her heart. It's the femininity question that needs to be answered and I truly believe that is a personal choice based on interpretation of both the current culture and the voice of God in ones heart. Before you get all up in arms that I mentioned our culture having an impact on what we consider to be feminine dress, just think of men in togas...or men in tights, if you'd like! How about salwar kameez? For me, I know that I need to be in skirts and dresses because of how it works in MY heart. When I am dressed in what I consider to be more feminine clothing, I automatically act more feminine. I function in my roles of wife and mother better and I speak, act and carry myself in a more peaceful and kind way. I know what God wants for my own personal walk---because I have relationship with him and can ask him! Does this mean you should also adopt a wardrobe of skirts and dresses? Of course not. You should, however, make sure that what you are wearing makes your gender obvious and is following the standards of modesty that you know in your heart to be right. I don't need to spell those out for you---just ask God, He'll make it perfectly clear for you! This is a really good post on such a hot topic. I really, really appreciate your insight on what actually is the root of most of the discussions that come up. I think you're right, women who are His and love Him and want to please Him desire and agree with modesty...It's the feminine way of dressing that is more open to discussion, so to speak. This is so refreshing, like a cool breeze on a hot summer's afternoon! Thank you! Hi Sarah, thanks for visiting me - sorry the linky wasn't up when you called by earlier. I appreciate your post on modesty and agree with your points. Modesty is not an "optional extra" for christians, but it is up to the individual to seek God's counsel on how He wishes one to dress. Of course, holy Scripture is invaluable when we need light to be shed on such subjects. 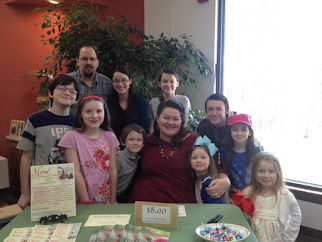 You did such an excellent job sharing about your thoughts on modesty vs. femininity. So well expressed. 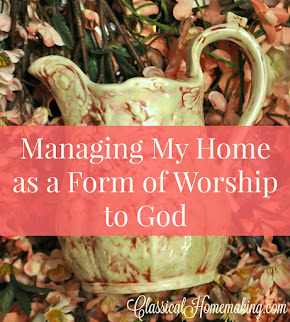 Thank you so much for sharing this on WholeHearted Home this week. I hope this post is a blessing to many ladies. Great thoughts! 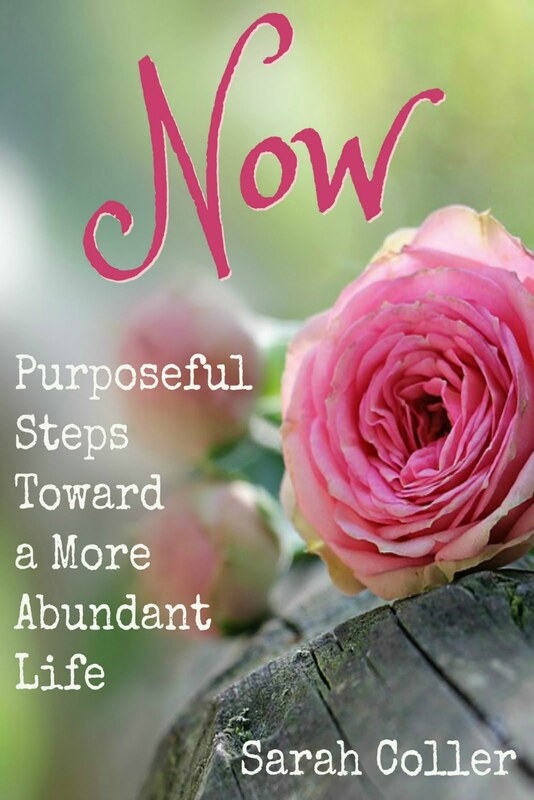 Offers great insight and clarity. Thanks for sharing on modesty. I enjoy reading what other women think about this very controversial topic. I happen to love all the verses in the Bible directed toward women. You are right, because how we dress should be an outpouring of the heart, otherwise we would be like the other cultures that have strict rules for women's attire. I also think you handled this sensitive topic well. People dress in the custom of the day according to their gender. In Bible times men wore dresses as well. They called them robes but they were essentially maxi dresses. Women's robes were very similar. No one wore trousers. Today, trouser style clothing is more popular for both genders and although most men wouldn't wear womens styles, some women often dress as a man would without any feminine touches. Both can be immodest or modest, so it is our responsibility to dress in a way that is honoring to our gender and creator whether it be trousers or dresses. Saying this, I love the touches of pink and a very Happy Pink Saturday to you! In our church we teach and are taught from a very early age that our bodies are sacred and how we treat them or dress them is a reflection of our desire to show God that we love him - that when we dress immodestly, we send a message that is contrary to our identity as a child of God. Our guidelines are that immodest clothing is anything that is tight, sheer, or revealing in any other manner. Women should avoid short shorts, short skirts, shirts that do not cover the stomach, and clothing that does not cover the shoulders or is low-cut in front or back. Men are also encouraged to be modest neat and clean and we should avoid being extreme or inappropriately casual in clothing, hairstyle and behavior. We believe it is also a lack of respect to have body piercings (one pair of earrings is OK) and tattoos. I believe you are absolutely right that how we dress has an impact on how we behave. I don't wear skirts or dresses all the time but I am never dressed in anything that would send a message that I am using my body to get attention. Nice post, I'm glad you wrote it! Love this post! 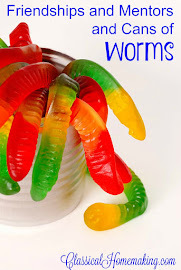 Just wanted to let you know that you were featured this morning on the On Display Monday Link Party at mysnippetsofinspiration.com Hope you have a great week and thanks for linking up with us! I really enjoyed this post! Such a great context for our clothing choices and the difference between modesty and femininity. I wear pants sometimes, but like you, I totally agree with trying to appear feminine. I actually had some troubles with that in the past where I was lazy and just wore shorts and a man's cut t-shirt of my favorite sports team. More than one person thought I was "butch" . . . That quickly taught me how much my clothes say about me as a person. Now I always try to be sure that at least one thing about my outfit is obviously feminine. No one could have called my knee-length cargo shorts and t-shirt immodest - but it definitely wasn't very feminine either. I've always dressed modestly, but now I dress more femininely as well. What a great post. I really enjoyed reading how you explained modesty and femininity. I totally agree with you on it. Thanks for sharing! from my understanding,the scripture in duet. is talking more about decietfulness.men and women were very segragated in those times.i heard someone comment on this saying that in our culture it would be like a man dressing in women's clothing to sneak into a locker room. i also thought about te amish when reading this.thier women wear dresses,yes,but most do not wear color.so as to be plain,or humble.just my thoughts:)i do agree that modesty is very important.and it is sooo good that our God is a personal God and can guide each of us in how we,as individuals,should dress modestly! Great article! I know my husband would prefer me to wear skirts. I have been loathe to spend the money to upgrade my wardrobe to include them. There always seems to be something the kids need first. We are in a temporary season where I am working while my husband goes back to school. As a nurse, a skirt is not an option. Every nurse in my unit wears the exact same scrubs. Definitely modest. Definitely NOT feminine! But I need to find a way to put at least a little towards some nice skirts. I did get one a few weeks ago and my husband loves it when I wear it! I think you touched on this in just the right way - encouraging but not judgemental. I just found your site off Pinterest and I know exactly what you are saying! I just started wearing dresses/skirts daily and God seems to be laying on my heart to cover my head. I am so glad that there is another person who understands why I feel so passionately about wearing modest and feminine clothing. My husband doesn't care; he thinks I look beautiful either way. I'm so happy you found me! I've felt so peaceful and blessed since I started wearing feminine, modest clothing. I'm glad your husband is open to it...that really helps in making you feel content in what you're doing. Blessings to you! Keep in touch! Excellent post! I couldn't agree more. I try to dress and wear my hair in such a way that from a distance I cannot be mistaken for a man. Add obvious modest standards to that and I feel right with God in my own heart.